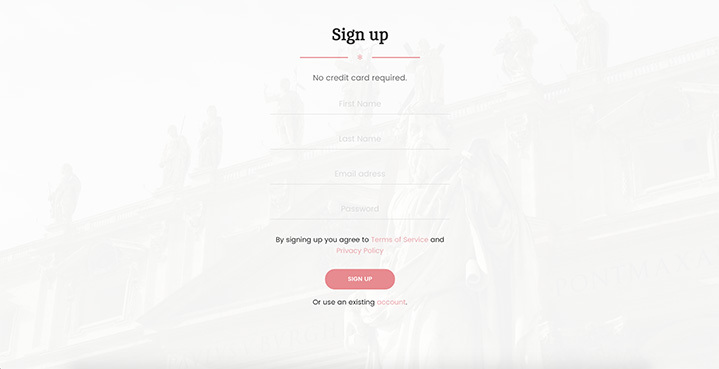 Probably the most stylish bootstrap template in the world! Cards, Blogs, Info Areas, Sections etc. The templates comes with a large number of components. The templates comes packed with vector font icons to help you stand out from the crowd. 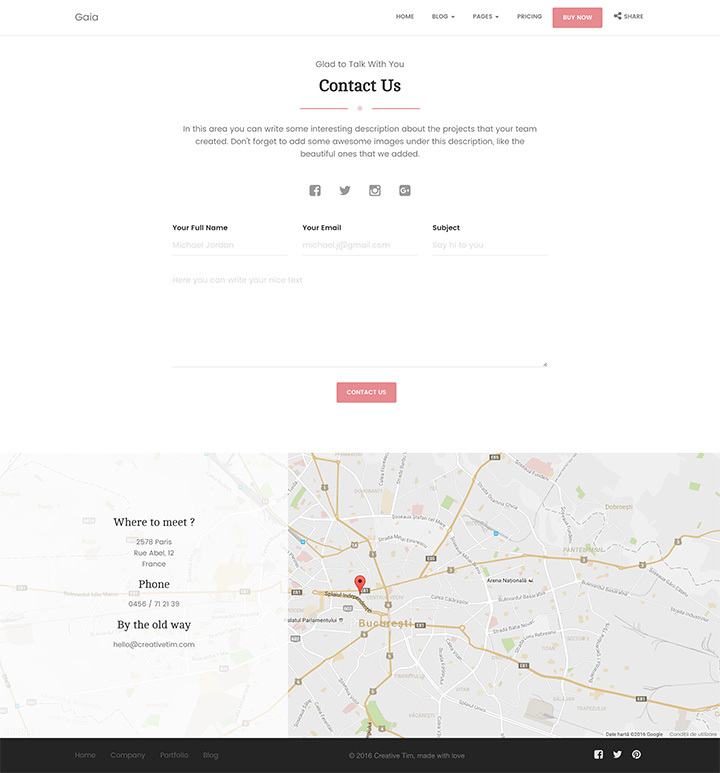 Gaia Bootstrap Template Pro comes with a large number of example pages, that give you to option to quickly setup the basic flows for your application. 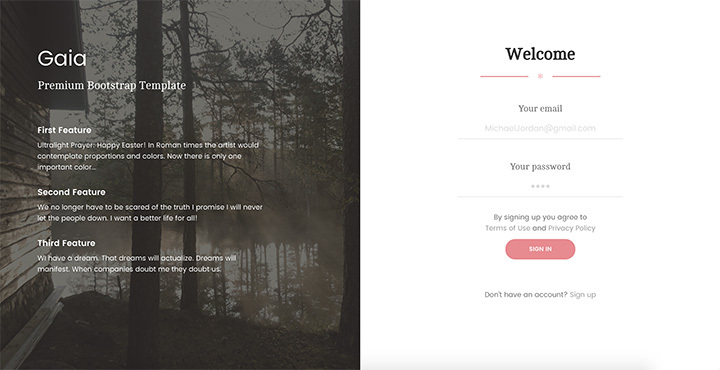 From registering to building your profile or setting a blog, we've got you covered. The kit is designed to be mobile first. Every component and Example Page looks great on any screen size. 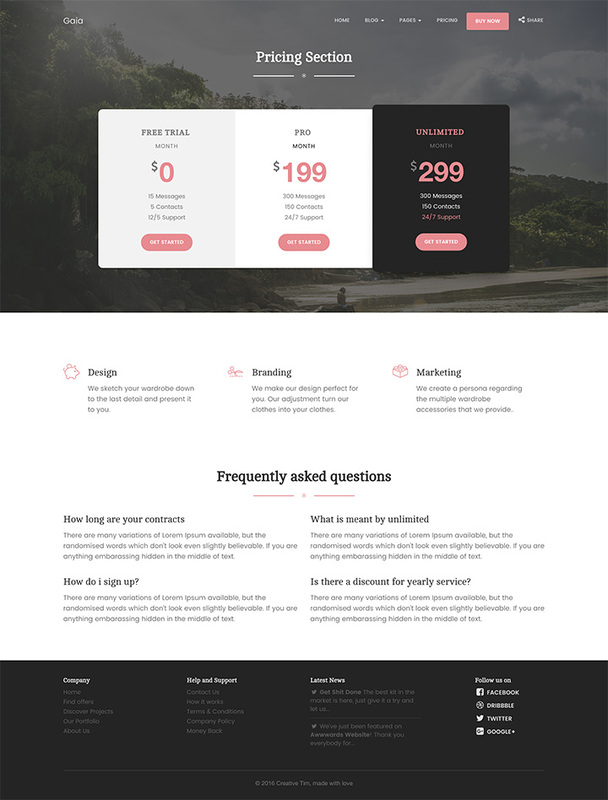 Gaia - Bootstrap Template is built on top of Bootstrap. Get the benefits of the most powerful framework and the perks of amazing new design. Want to prototype very fast? 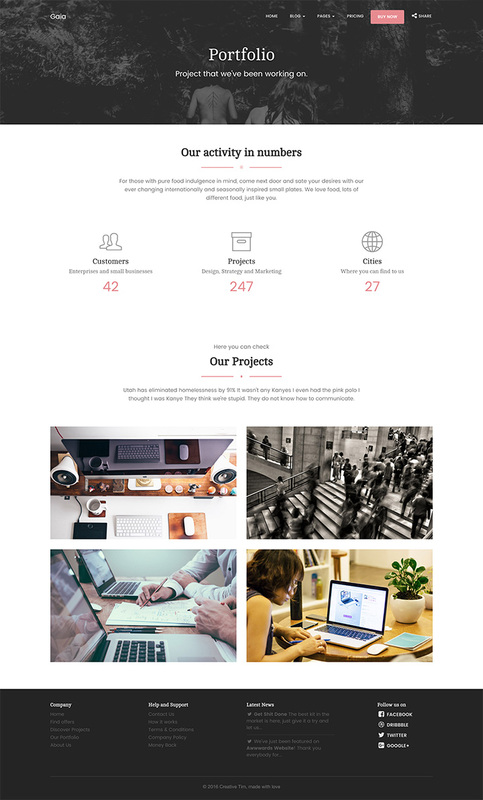 Gaia Bootstrap Template is made with sections that can be integrated very easy and look perfect together. Ready to grab this beautiful template?